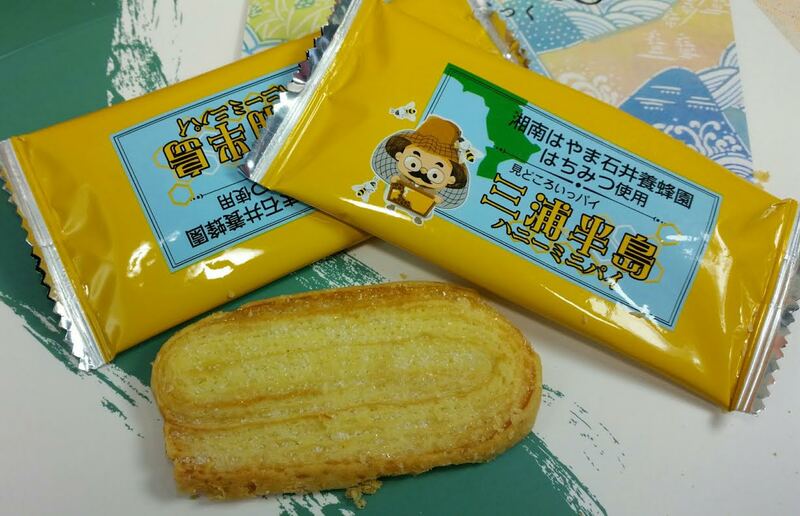 Hato Sabure- These butter cookies have been made by snack store Teshimaya since the late 1800's. They are made and sold in Kamakura. In my opinion they taste just like a butter cookie but these are special to Japan because they were the first butter cookie to originate there. 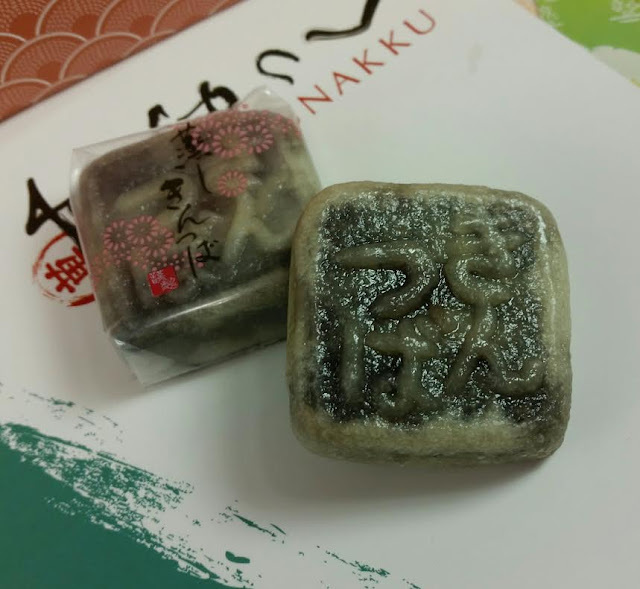 Kurumiko- This is a caramel and chestnut snack made by Kamakura Beniya. It's their most popular snack and has won awards. The wrapping with the squirrel is pretty cute. I haven't tried this one yet. 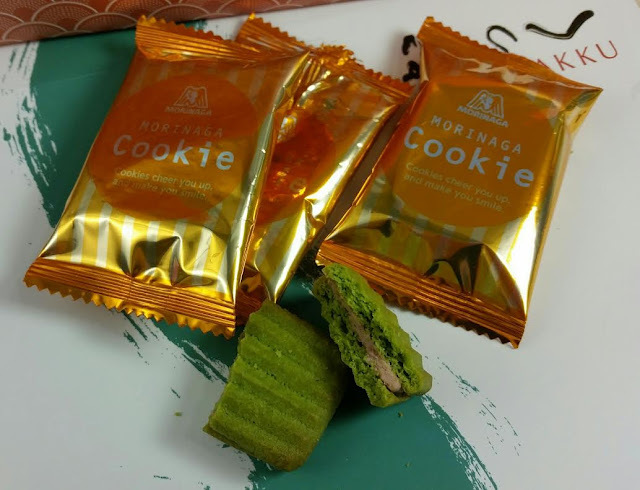 Kamakura Hydrangea Cookie- This was my favorite! They're made with actual hydrangea essence, too. They're made of crisp wafer and a light, sweet filling. Kinstuba- Made in Japan since the 1600's this snack is made of red bean paste wrapped in a thin flour dough. They're baked on a copper plate, giving the imprint. 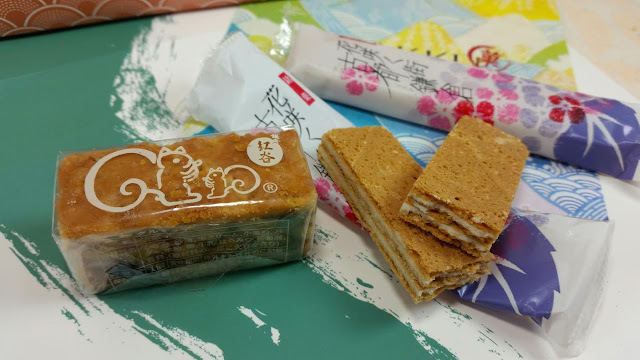 Apple Honey Pie- When I was in Japan, I noticed there is a big focus on pastries. It's not something I was expecting to find in the stores-- rows and rows of French pastries! Well, Japanese pastries, I suppose. Made in Japan. These flaky, crunchy treats made with local apples and Ishii honey. 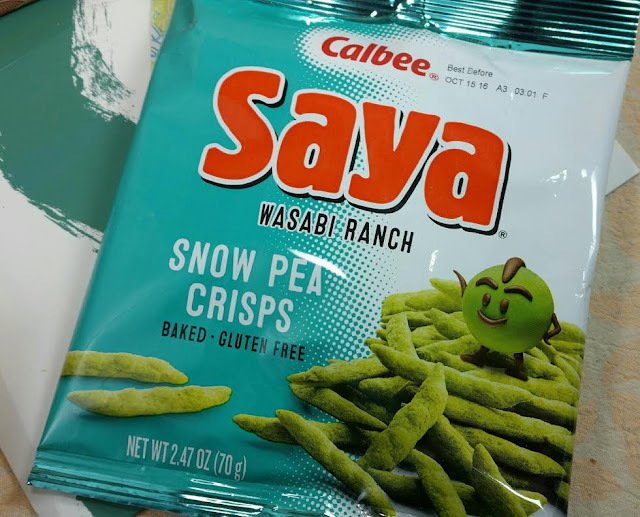 Calbee Wasabi Snowpea Crisps- While the featured snacks tend to be one of a kind, Snakku also includes more popular snacks like these, too. I hate wasabi so these went to my husband. 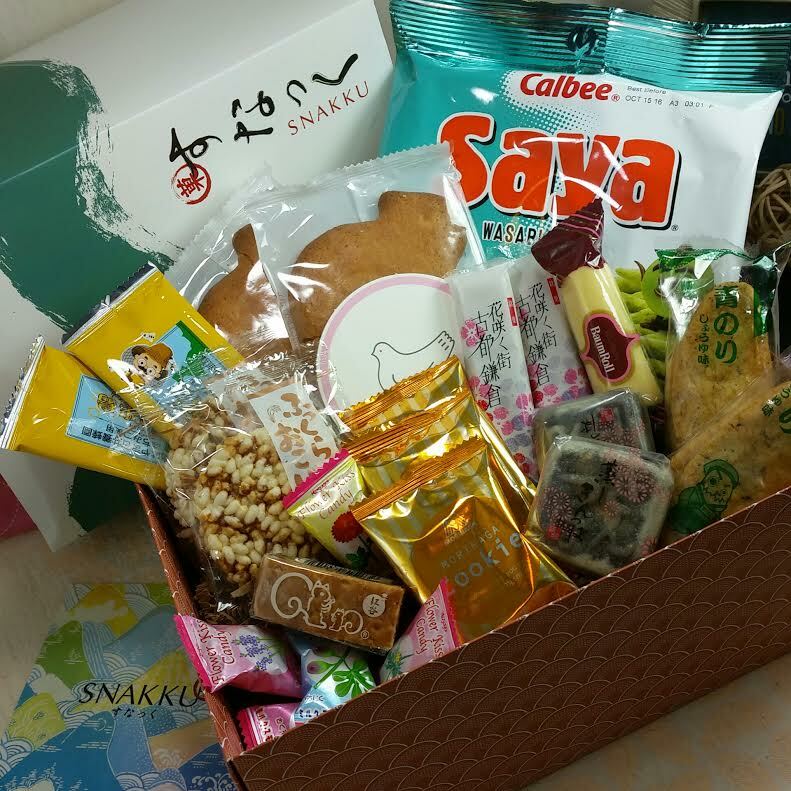 He always loves it when we get Japanese snack boxes because he gets what he considers the "good stuff." Morinaga Matcha Azuki Cookie- These smell JUST like matcha. So tasty! 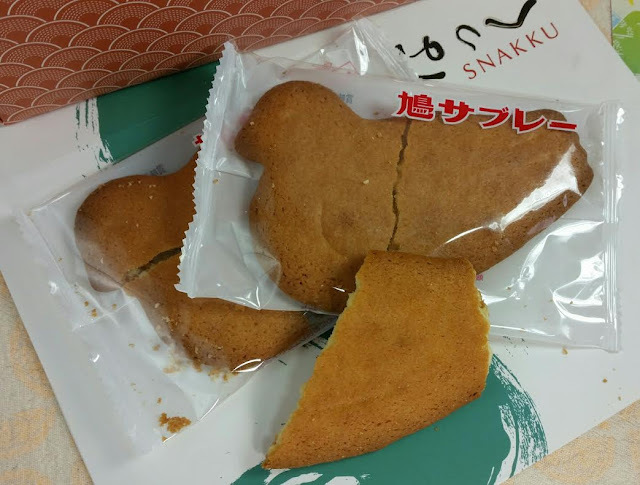 The perfect amount of crunch and not too sweet red bean filling. 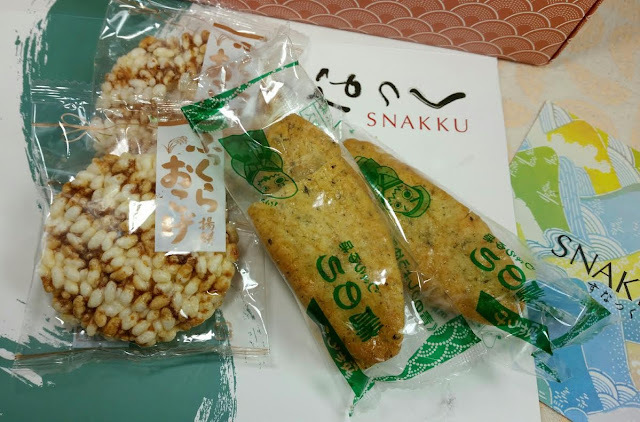 Fukkura Okoge- Senbei made of grains of rice with soy sauce and baked in a kiln. Flower's Kiss Candy- These are labeled as tasting like apricot plum. They are vaguely fruity and don't taste like flowers but that's probably a good thing. Bourbon Baum Rolls- A vanilla glazed baumkuchen roll. 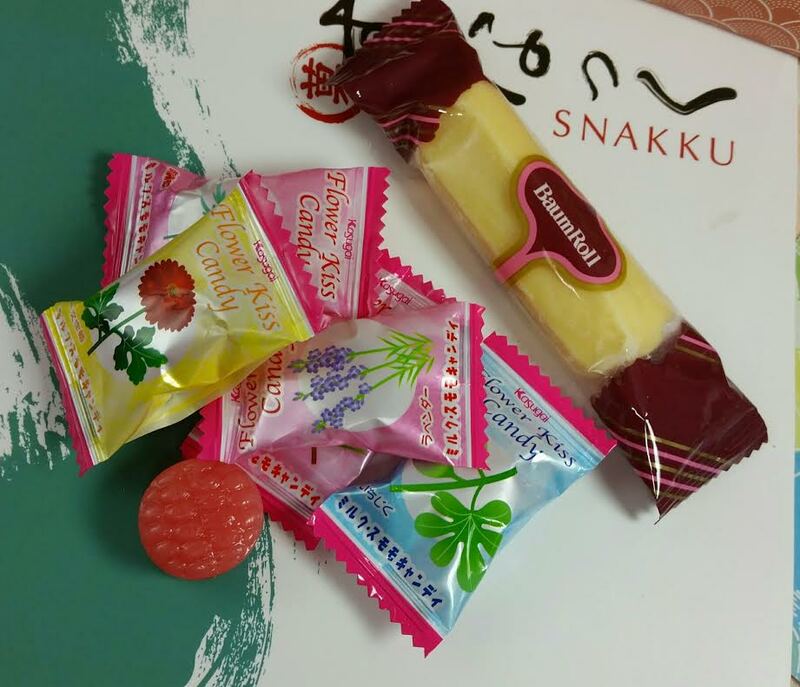 A German treat made up Japanese style. VERDICT: This box is always a treat just to open because the presentation is so perfect. 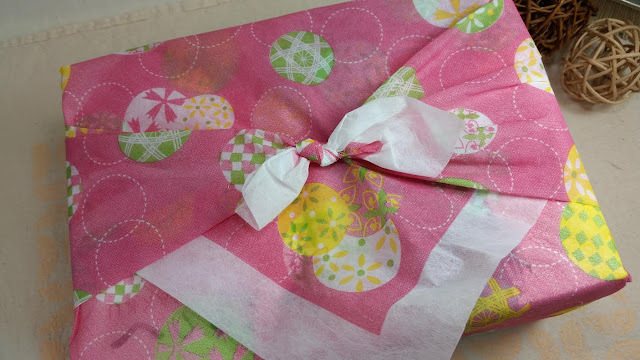 It makes a fantastic gift for someone who truly loves (or misses!) Japanese snacks. 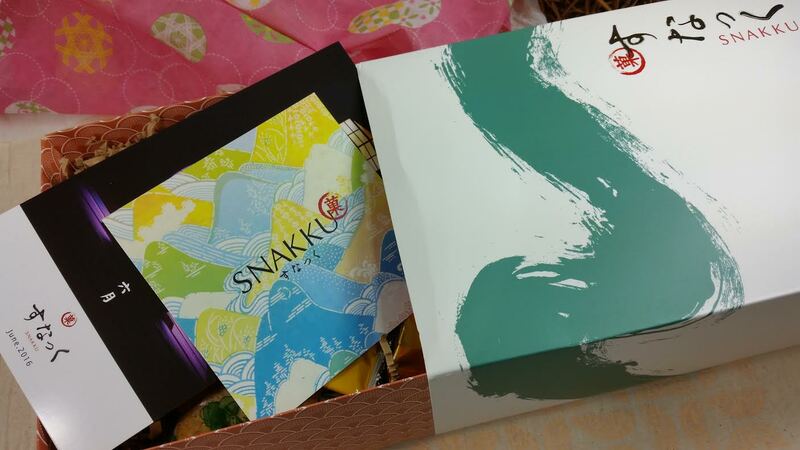 I like the lengths Snakku goes to in order to find truly authentic snacks. The information card always provides enough information to help you appreciate the unique opportunity trying each treat is.